Sun in Aquarius shines in an area that deserves attention: human life in society. People of Aquarius draws energy from the Sun to apply to their ideals. The Sun is the star that shapes our essence and that is why is so important to know about it. Let’s find out more. Sun in Aquarius has a humanitarian sense like no one else. Their modus operandi is always in the collective and they can not be otherwise. They are very sociable beings who see grace in collecting different and interesting people and places. All for a more complex and complete life. They love to live in society but do not depend on anyone, managing to maintain their independence as a north to follow. Lively, exuberant, like to appear and lead. They do not follow standards, their ideas are always original and disruptive. They have a revolutionary spirit that changes and influences the environment where they are. 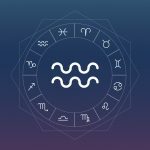 Sun in Aquarius makes a good time to reflect on life, do volunteer work, change the thinking of retrograde people to a greater good, strengthen friendship bonds and test new technological equipment. The future seems a much nicer place for an Aquarius. Another paradox of Sun in Aquarius, apart from their relation in society with their independence is that they can see the differences between people, but also believe that everybody is equal and deserve the same type of treatment. You will never see an Aquarius treating a poor other than a rich, for example. Also because they do not believe in social hierarchy. This kind of person would be a great politician because they think for the whole and for all, as well as being interested and fighting for ideals that are not theirs. They are not afraid to stand, they are supportive, tolerant, unprejudiced, open and willing to learn from others. Sensitive and sympathetic, they can be super liberal in collective, but not in their personal relationships, where they set some limits. The typical life of an Aquarius is full of paradoxes. A free spirit, but that is well reserved in its emotions, passing an image of cold-hearted. They do not usually give their partners much security because it is difficult to truly commit to a relationship. They fear losing their freedom and confuse relationship with imprisonment. Radical and uncompromising in their ideas, they may be stubborn as Taurus, but with a certain arrogance that they know more than others. They want to go against the grain for the simple pleasure of shocking people. Paddling against the tide does not seem like a big effort for Sun in Aquarius.